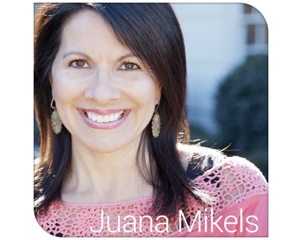 JuanaMikels.com: Giving Our Husbands Attention & Wednesday's Prayer Girls & Link-Up Party! 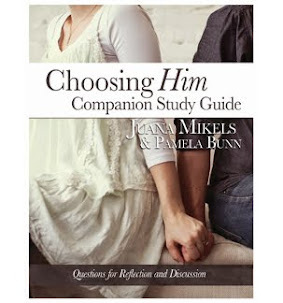 Giving Our Husbands Attention & Wednesday's Prayer Girls & Link-Up Party! Do you think it is way too easy to not pay your husband much attention? I do. How effortless it is for me sometimes with having multiple children (we have four—two girls, two boys) or even ministry work (understandable, but not excusable, is it?) to forget to pay close attention to my husband. Have you noticed that in your life? I wanted to take just a couple lines today to remind those of us who are married to not take our spouses for granted. It's so easy to do—I'm talking to myself, too! What made me pick this topic today was something a friend said in church to me last Sunday. In a certain part of our service while we are all standing, our worship leader encourages us to talk with the people around us. It was during that talk time that she came up to me and said, "I love the way you hold your husband's hand during church. I can see since I sit in the section behind you." Her comment meant a lot to me. You see, since my youngest is blind, I whisper in her ear the words as they appear on the screen so she know the lyrics for the worship song or hymn we are singing. I do it now almost without thinking, and have learned to feed her the next line as everyone finishes singing the previous line. I hold my husband's hand because I want him to know without words that he is important to me— especially since I give my youngest so much attention so she can keep up with what the congregation is doing. Now you gotta understand, there are plenty of times when, sadly, I take my husband for granted. I repent (which means to turn in the opposite direction; I like to think of it as a U-turn!) Isn't it wonderful that His mercies are new every morning? We can start fresh at any moment in time! We serve the God of new beginnings! Second chances and hundredth chances! I did manage to get a little something for my husband today! Skittles—one of his love languages! I put it on the counter where he sets his keys when he comes in. ☺ It was worth his smile after a long day at work when he saw my note. A little kindness goes a long way, doesn't it? Small in effort and huge in effect by letting him know I thought of him when he was away. Someone has said, "the house that doesn't have time for kindness always has time for rudeness." Does your husband provide for your family? When was the last time you thanked him? Thank him! I think I'll go thank mine right now! I had hoped to tell you today about a fantastic book I read this summer that you may want to look into, but between helping two sons get ready to go back to college on Friday and getting to see my mama and taking her to Costco (her love language! )—it will have to wait until next time! (not to mention searching all over town for mold killer to kill tons of mold on my son's futon that was stored in the basement over the summer!) Believe me—you would have searched high and low for it if you could have seen the upholstery! Let's go visiting on blogs! Enjoy hopping around as you find encouragement from my fellow Christian bloggers below! Leave one or two of them a comment if they've spoken to your heart, which will be an encouragement to them. If I can pray with you on a non-confidential prayer—just put it in the comments below. I'll get you started with the first prayer! Praising God that I found Mary's brand new laptop that went missing for 2 weeks!! Thank you for praying! Please pray for my son who takes the State Real Estate Exam this week! Oh, Thank you, Jana! Your prayers mean so much! The laptop was in Mary's room all along just sitting in the corner being a good little laptop!!!! John just returned from the 4 hour exam! So glad it is behind him, he finds out the results in a couple weeks. If he passes, he takes another test! Waking my husband in the middle of the night when he is fast asleep with a deep, longing kiss and whatever follows make him walk on clouds for days afterwards! My son is going to the orthopedic surgeon on Monday to see if his hand has healed properly. Please, dear friend, pray for complete healing. Hi Mia! Your husband had a good wife! 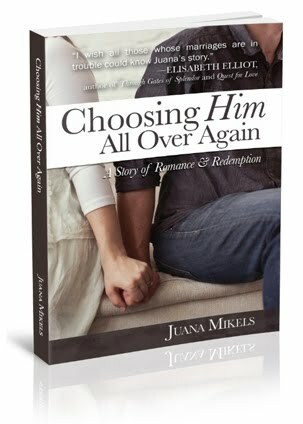 The book I gave away last week on my Giveaway, Passion Pursuit, wrote about the importance of not always having your husband be the initiator to intimacy! Way to go, Sister! Let's pray for your son. Father God, we lift up Mia's son to you right now. We ask in Jesus's name for his hand to heal properly and well so that he can continue in the work you called him to do with his hand in architecture. Thank you, Father! Amen. Great reminder to do something little for our husbands. Will be praying for your son. May God bring back to his memory all that he has learned & studied. Would you also pray for both of my children. They will both be returning to the school where they both work. That God would bless the school year for each of them, for their students & for my granddaughter, who is starting kindergarten this year as well. Thank you for hosting this link up each week. It is a blessing! Hi Joanne, Thank you for praying for my son, John. He just finished the 4 hour test, and will get the results in a couple weeks. Your prayers as he began the test mean the world to me. Let's pray for your children. Heavenly Father, I lift up right now both of Joanne's children who are returning to school. Pour your grace and favor over them Lord, and over their students. We also ask for your protection and loving hand over Joanne's granddaughter as she begins kindergarten this fall. Amen. Hi Juana! Well, my blog post today is indirectly about my husband! He did the actual caulking work, and it fixed the problem. Yay for husbands! Very sweet to know that others notice your hand-holding with your husband. It's a sweet gesture to let him know he is on your heart even when you are busy helping your daughter. I love holding my husband's hand and getting/giving a hug or kiss throughout the day, but I can sometimes take his presence for granted. I need to be more aware and thankful for him. When I was working I used to call my husband every day when I was at lunch, but sadly have stopped for some reason. I will start again! Thanks for the wonderful reminder. Fielder has healed from his wisdom teeth surgery. Prayers for the boys as they start back to school next week, and college as well. My oldest son & his wife are also traveling next week. 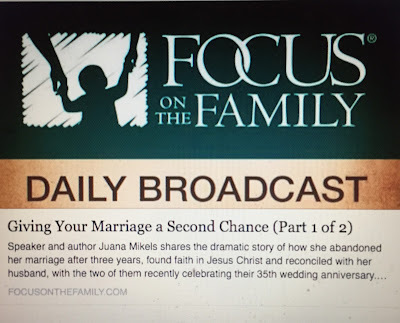 I'm so glad to reminder to give our husband's attention spoke to your heart! Praising God, Jana, that Fielder's swelling went down and that he is back to normal! I know it was a rough few days to see your son is so much discomfort, but hopefully now he is eating up a storm! Father God, we lift up Jana's sons as they start back to school and even college next week. Help them Lord to start well into a good year of school. We also entrust Jana's oldest son & his wife to your care as they travel next week. In Jesus' name, Amen. Yoooo-hooooooooooo, Jana!!!!! Also, we just got word that my son PASSED THE REAL ESTATE EXAM!!!!!!!!!!!!!!!!!!!!!!!! I'm feeling bad leaving this post up without telling everyone that I ate nearly all the Skittles! It gets worse. I didn't even ask!! !